***Best ways to keep updated on actions we support & participate in are from our Facebook site & also by signing up to our email listserv: see either FB sign-up or from website. Oct 13, 2018: Building Solidarity Against U.S. Colonial Crimes in Puerto Rico / FB Event. In New York City the U.S. will be put on trial for colonial crimes against the people of Puerto Rico on October 27th. We will support this event here with a program highlighting the current crisis, which is not new nor even due primarily to the hurricanes, but the result of colonial, capitalist exploitation that the U.S. has imposed ever since its 1898 military invasion of Puerto Rico. 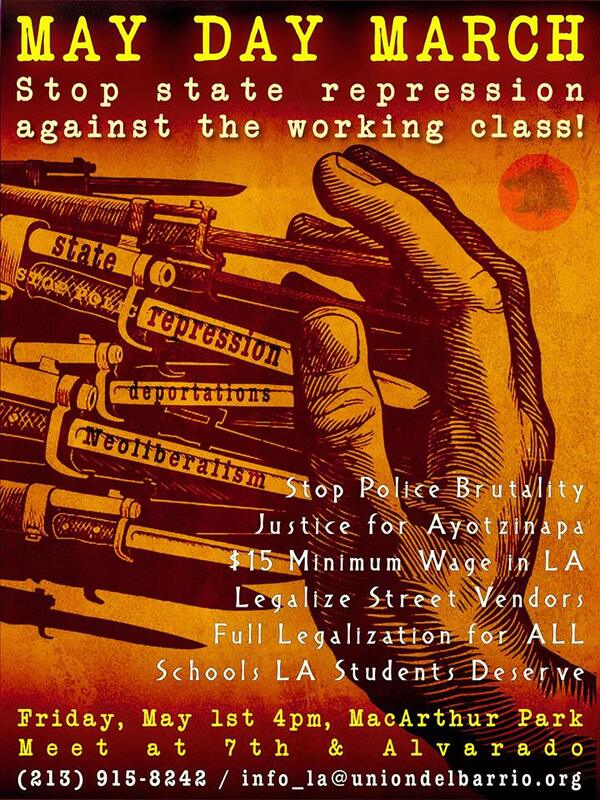 –Los Angeles May Day 2018 Todo Poder a los Trabajadores; May 1, 4pm; MacArthur Park; FB Event. Saturday Feb 24, 2018, 4pm! **Urgent: Court Support & Solidarity for Rebecka Jackson. Stop police brutality! FB Event. Week of Aug 29, 2017. “In 2014 I was beat by the California Highway Patrol for protesting in solidarity with the Ferguson Uprisings after the brutal murder of Michael Brown and the non indictment of his murderer Darrel Wilson. See the LA Weekly story. <<Labor Day 2017: Fight for 15 Strike on Labor Day. See our FB page. Sat June 24, 2017 – 4pm. For the first time in nearly a decade, all marches happening on May Day (International Workers’ Day) are announcing unity among groups to be called the May Day Unity Coalition of Los Angeles. In light of President Trump’s cruel and racist policies that attack working people, immigrants, public education, Muslims, and the LGBTQ community, we all recognize that the time to resist is now. We are promoting our vibrant and diverse communities, and sending a message to the administration that we are united. –Sat, Jan 7, 2017: Public Meeting-Stand with Standing Rock. FB Event. 2017 begins as one of the most historic and important Native American resistance actions continues to hold off the Dakota Access Pipeline. Thousands of Water Protectors brave the deadly North Dakota weather to prevent the profit hungry bankers and oil companies from poisoning the water supply. Read more at FB page. –Sat, Nov 26, 2016: Films & Discussion-Standing Rock & Historic Native Resistance. FB Event. –Wed, Nov 23, 2016: Rebecka Jackson-Moeser Press Conference filing federal lawsuit: During Protest Against Police Murder Baton Splits her Ear & Causes Concussion. But She Still Fights for Justice. INFO. 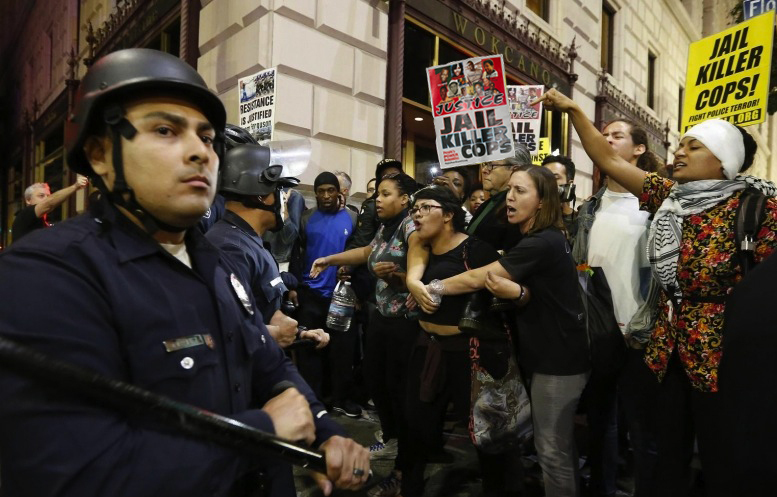 –Oct 4, 2016: From Charlotte to L.A. – Hands Off Protesters, JAIL Killer COPS! -Please join groups working out of the Harriet Tubman Center who will be attending this event. After the event the Harriet Tubman Center will show the film “All Guantanamo is Ours” at 7pm. –Tues, July 19, 2016: Solidarity Works: Boston Bus Drivers Union Talks Strategy:Black Lives & Affirmative Action Matter to this Union. FB Event. Solidarity is key to the Boston school bus drivers success in pushing corporate power back. From the union’s insistence of affirmative action hiring contract language to remedy the company’s past history of racist and sexist hiring practices, to the all out support for the Black Lives Matter movement – the union was able to win the trust and loyalty of the community in fighting back Veolia’s attempted union-busting. You won’t want to miss the inspiring stories the four speakers have to offer with important lessons in fighting for economic and social justice. Read More. We’re At Black Lives Matter LA City Hall Occupation. 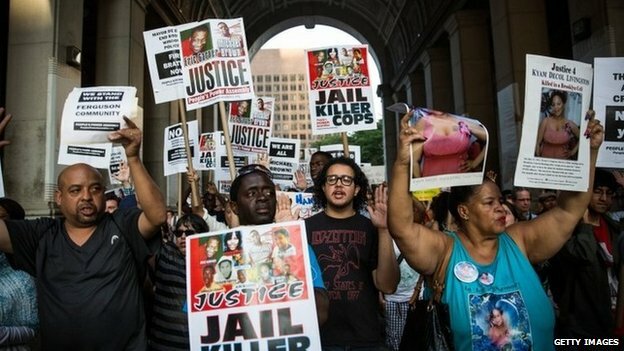 Can you believe, the day after Obama makes his speech apologizing for killer cops and facilitating further genocide against Black and Brown people the police commission finds that the assassination of Redel Jones was “justified.” She came at the cops with a knife they say but witnesses say different – who do you believe? Just another example of genocide that won’t stop until we stop it. Everyone needs to unify and get to City Hall and Shut This Sh.. Down!! All Out to City Hall – We’ll Be Here Till Justice is Won! 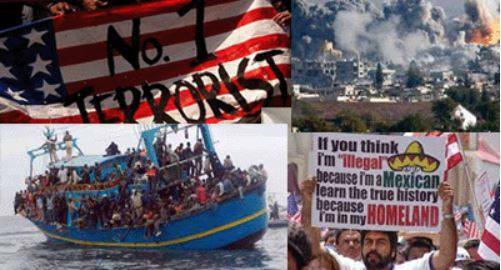 –July 9, 2016: It’s time that we unite our struggles in a strategic and coordinated way! Let’s take direct action today at 5:00PM at the LAPD Headquarters to denounce the cops for killing innocent Black and Brown people! FB Event. We stand in solidarity with the people of Ferguson, Oakland, Baltimore, Baton Rouge, Minneapolis, Fresno and all communities who have experienced police terror. 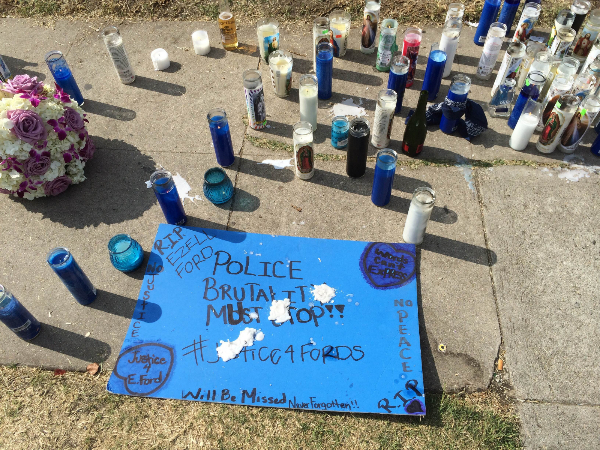 We also cannot forget Omar Abrego and Ezell Ford who were murdered by the Newton Divison of the LAPD in August of 2014. We cannot and will not allow the events in Dallas to dictate if and when we the people can take the streets to denounce police brutality in our communities! We cannot let these killer cops all over the country off the hook! We have to continue to denounce police brutality and demand that these killer cops be brought to justice! We continue to propose that we organize our communities so that we have the capacity to defend ourselfves from police terror. Marching and protesting is necessary but that alone will not stop police brutality. We invite you to spread the word so that we have a large action like we saw in Oakland and yesterday in Atlanta. LA, it’s our turn! Let’s send these cops a message; Black, Brown and ALL PEOPLE UNITE! NO JUSTICE, NO PEACE! -Mass Incarceration: President Bill Clinton “presided over the largest increase in federal and state prison inmates of any president in American history,” a policy which she continues to defend. -Deportations: In 2015, Hillary Clinton supported deporting child migrants to Central America, saying “Specifically with respect to children on the border, if you remember, we had an emergency, and it was very important to send a message to families in Central America: Do not let your children take this very dangerous journey,”. Yet her policies as Secretary of State are the cause of why people migrate to the US. -Imperialist Assassinations and Overthrow: Hillary Clinton has the blood of Berta Cáceres, Nelson García and the over 25,000 people that have been killed since 2009 in Honduras on her hands. ….Secretary of State Clinton was the architect of the overthrow of the Libyan government and the destruction of one of Africa’s most progressive countries, leading to over 400,000 people being displaced as a result of the intervention, according to the UN. ….Secretary of State Clinton presided of over the killing of thousands of people in the Middle East due to the US drone program and the continuing of wars in Syria, Iraq, Somalia and Afghanistan. -Los Angeles, Feb 25, 2016: 5pm: From East La to Flint MI: Protest Environmental Racism! FB Event. Make GM Pay! Stop Privatization of Public Services! **Join us to DEMAND CLEMENCY & FREEDOM for Leonard Peltier; Sat Feb 6, 2016 – 2pm to 9pm; At Chuco’s Justice Center – 1137 E Redondo Blvd, Inglewood, California 90302 A Powerful Evening- FREE- FAMILY Oriented & Kid Friendly. Drum, Powerful Speakers, Good Food, Gifted Performers & Revolutionary Music, and Raffles! JUDGE Gloria Verdieu from San Diego where she has created extensive work tracking and honoring the lives lost to militarized police both in California and nationally. JUDGE Andre Isaiah Shirley, LGBTS Alliance – LA Trade Tech Club vice president. JUDGE Lynne Stewart from New York, where she was recently released from prison for the crime of being an activist and peoples lawyer who defends those targeted by the so-called U.S. war on terror. Note: Nelson Antonio Denis also joined us as a featured speaker. He is a writer, film director, and former New York State Assemblyman. His award-winning films premiered at the Tribeca Film Festival and screened throughout the U.S. and Puerto Rico. 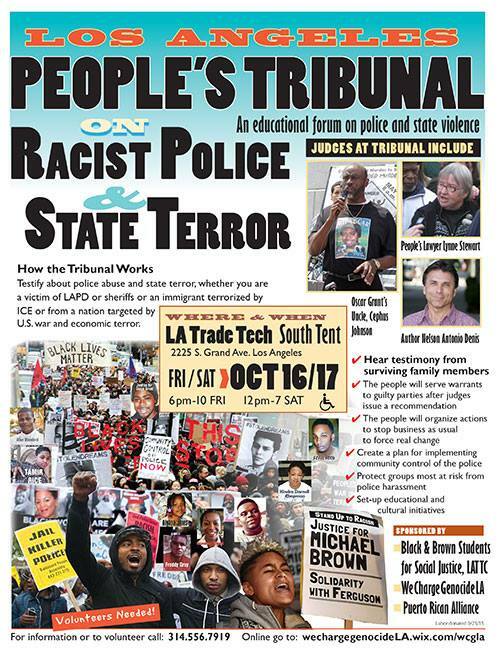 LA Tribunal Against Police Terror and State Violence. ***July 4, 2015: 3:30pm; Shut Down Business as Usual at Grant Park! 200 N. Grand Ave Los Angeles, CA 90012. Decolonize Independence Day! End Racist Police, Murders/Genocide! End Terror by LAPD and L.A. County Sheriffs! ***FLASH: Los Angeles Workers Assembly says ‘no exemptions’ – $15 and a union for all! See article. 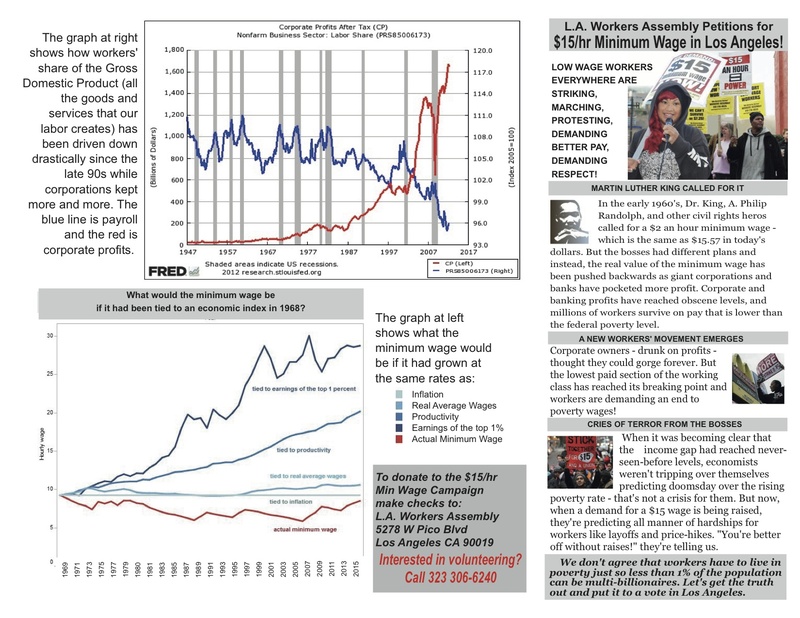 Also, Los Angeles struggle wins wage increase; Activists say “Better but not enough!” See article . –See our website for info on $15/hr campaign; get the petition; download a brochure; see a list of events. Help Build the Campaign for $15 an Hr & a Union. Shalana Little (right) and Xaime Casillas (to her left) with supporters in front of county courthouse in Los Angeles. Get the details & Sign the Petition. ****Sunday, May 3, 2015: 4pm. A Turning Point for Low Wage Workers. Harriet Tubman Center. FB Event. ***Fighting Racism, Brutality and for EconomicJustice: Regarding the Oscars, the NBA, the fight against police terror and the fight for a $15 min wage – how do you influence those in power who don’t give a damn?…. Read the full statement. –March 3, 2015: LA PPA supports LA CAN and Skid Row Community Outrage at Latest LAPD Murder in Skid Row. Residents Plan to Take Action: See the details. **January 19, 2015: 9am – 3pm: Join the Martin Luther King Coalition’s 4 Mile March Contingent at the Kingdom Day Parade . Meet at: Parking Lot #6 near the Coliseum, Figueroa and MLK Blvd. Dec 31: 5pm 65th & Broadway. L.A. Workers Assembly supports this important action and urges everyone to join the protest today at 5 pm at the corner of 65th and Broadway in Los Angeles – where Ezell Ford was murdered by L.A.P.D. 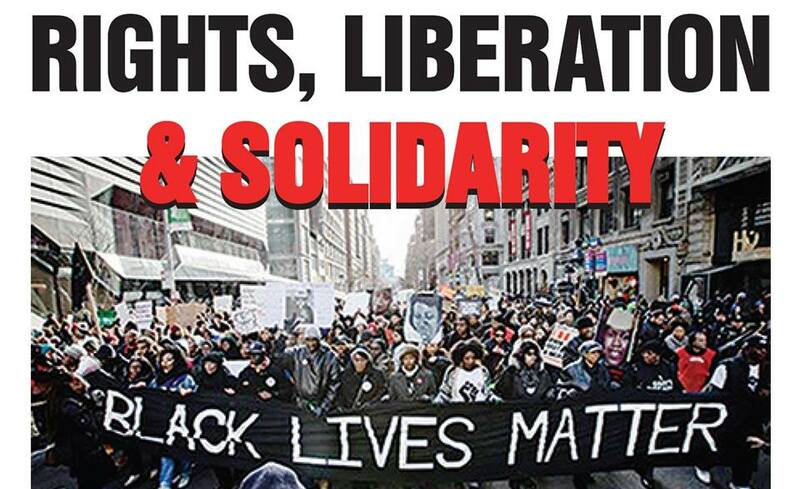 On Saturday December 20th at 5pm: speakout and analysis on police violence, the low-wage workers struggle and reportbacks from Ferguson and from those arrested in Los Angeles protesting in solidarity with Mike Brown, Eric Garner, Ezell Ford and many more. Harriet Tubman Center. REPORT BACK:Last Thursday December 11th the LA Workers Assembly organized a caravan from Los Angeles to the Long Beach regional headquarters for all southern CA McDonald’s restaurants to let them know that fast food workers fighting for $15 and a Union have community support. Included in the delegation was a union organizer with United Electrical Workers. Among the demands for a livable wage were the call for justice against racist police violence that disproportionately effects low-wage workers. 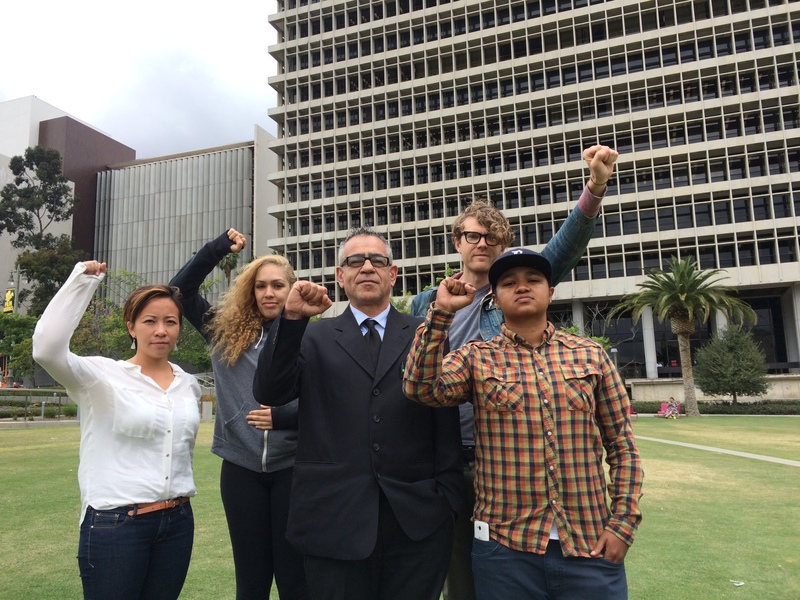 FLASH: Sept 29, 2014: LA Workers Assembly Congratulates Hotel Workers on Wage Hike Victory. Inspires Current Ballot Initiative for a $15 Minimum for All in LA. Read more. 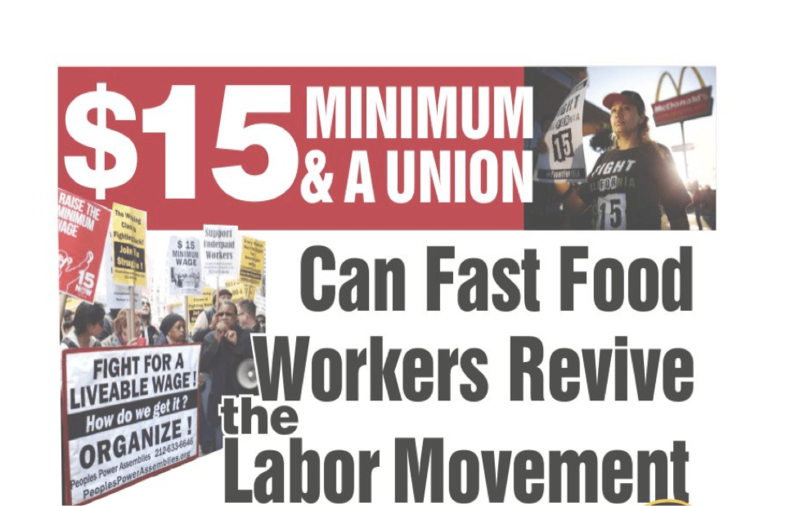 The Petition Drive for $15 minimum wage kicks off with a press conference Thurs., Sept 18, 2014 on the steps of LA City Hall West. -2) If you’re in a union help get us in touch with your union representative so that we can talk with them about the campaign and see if there are ways that they can help! -3) If you’re a student, suggest to your professor that they give credit to students for participating in this citizens’ ordinance petition campaign as part of their studies. We can provide literature to you or send people to meet with your professor. ***Of course our biggest need will be petitioners! To do so, you only need to be eligible to register to vote in the State of California. But if for some reason you are ineligible or unable to gather signatures but want to help please contact us. There are so many ways that you can help in this fight to end poverty wages in Los Angeles! Saturday Aug 30: Come to Harriet Tubman Center 11 am. Monday Sept 1: Leave the Harriet Tubman Center by 8:30 am to go to Wilmington or meet us at Banning Park, 1331 Eubank Ave in Wilmington. Look for the banner with a picture of Martin Luther King that says $15 & a Union in big red letters. -Aug 9: $15/HR & A UNION: follow up organizing meeting; 3 P.M.: Harriet Tubman Social Justice Center, 5278 West Pico Blvd, Los Angeles, CA 90019, and proposed a “Walk for Justice for $15 and a Union” in September from East to West Los Angeles that will set a goal to involve students and youth across Los Angeles in this important fight. To get involved call: 323-306-6240 or email LAWorkersAssembly@gmail.com . See Facebook page https://www.facebook.com/LAWorkersAssembly . 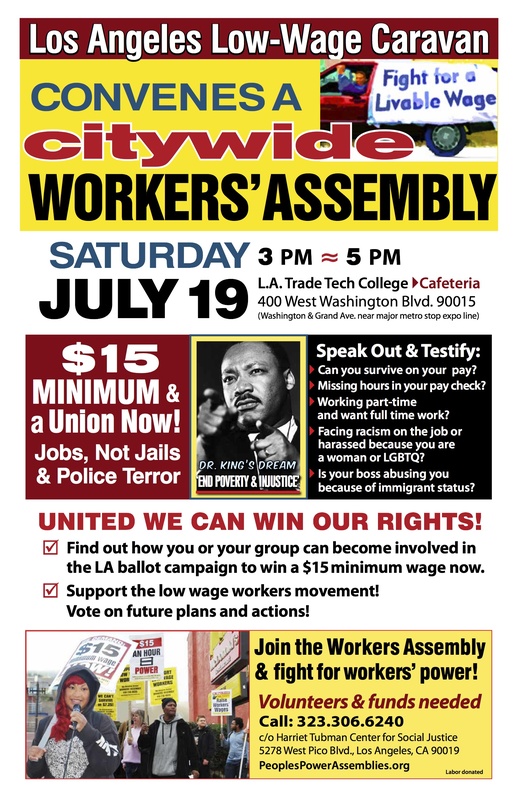 Citywide Los Angeles Workers Assembly to win $15 minimum & a union now! Jobs, not jails & police terror. Join the Workers Assembly & fight for workers’ power. Find out how you or your group can become involved in the LA ballot campaign for $15 now! Speak out & testify: Can you survive on your pay? Missing hours in your pay check? Working part time & want full time ? Facing racism on the job or harassed because you are a woman or LGBTQ? Is your boss abusing you because of immigrant status? For more info. call 323-306-6240; Join our Facebook Event .